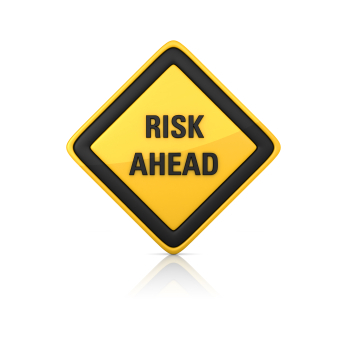 Foot pursuits are high risk areas. It’s a scene right out of the movies: The police officer jams on the brakes, the squad car screeches to a stop, the officer jumps out, and starts chasing a suspect. It’s called a foot pursuit and that officer just went through an invisible sign that says “High Risk Area.” That risk applies not only to the officer, but the suspect and the public as well. 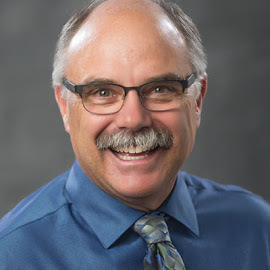 LMCIT statistics show that these “high risk-low frequency” events account for 8% of the total police work comp claims, and that injuries from a foot pursuit make up 7% of the total cost for police work comp. Often the officer is alone and this explosion of energy will cause most officers to have tunnel vision, lose situation awareness, and impair their ability to communicate. Frequently, radio transmissions cannot be understood as the officer is trying to catch his or her breath and is somewhat lost as they pursue across the unfamiliar territory that is full of hazards like fences, uneven ground, and clotheslines—adding to the confusion. A recent event in the Rochester area showed how rapidly the risk can increase during a foot pursuit. The driver of a car who had committed a minor traffic offense ran from the car, and a deputy pursued him on foot. Once the deputy caught him, the man began to fight with the deputy and they were on the ground. Suddenly four more people appeared to assist the suspect with the fight and one of them had the deputy in a choke hold and he began to “black out”. The deputy survived and was released from the hospital that night. Three of the people have been charged—a fourth is expected to be charged soon. Foot pursuits are an explosion of risk factors that are out of the control of the officer. 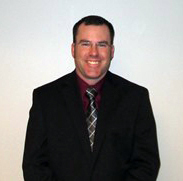 The terrain, the suspect’s capabilities, lack of cover, communication issues, and potential ambush are just a few. Foot pursuits are very high risk. Up next: Getting more “reps” in a field training officer program. in fire service and public works. 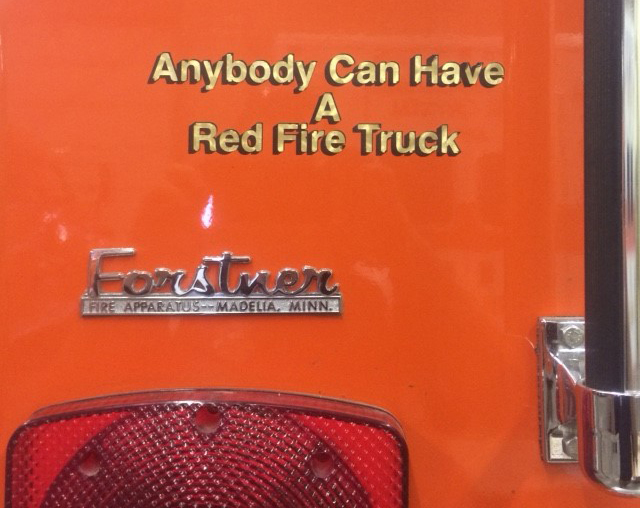 What is your favorite color for a fire truck? If your city doesn't have a red fire truck, what is the reason why? There is no one answer. Over the years colors have changed because of management, tradition, or just something different. 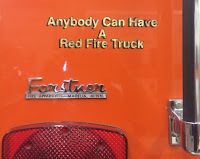 When traveling across Minnesota, you will see a lot of colors for fire trucks, but the most unique deserve a slogan! 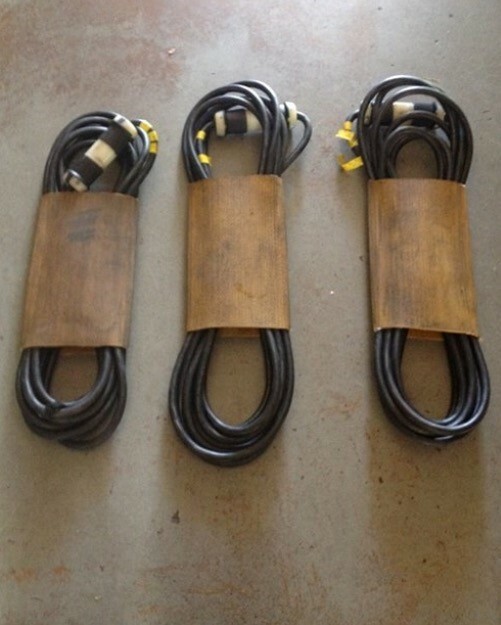 Extension cords are an important tool in the Fire Service, and it is critical to store them in a ready position every time. Looking for an interesting way to store them in the cabinet, and a way to keep them organized? Take a look around the station and see if you have old 4” or 5” hose laying around. Cut a small piece in the old hose and wrap the cord up and stick it inside. This will keep your cabinets more organized, and when moving other tools it will help reduce the risk of equipment getting tangled up. 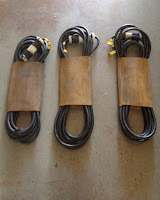 If you have a marker, you could label the hose with length and type of extension cord. There are always tricks-to-the-trade that will help make the job easier and safer! Up Next: They are high risk, very high risk—learn more about the hazards of foot pursuits.